If you have noticed lately that your rooftop is not looking in tip top shape, it is time to call in an expert Falmouth roof cleaning company. That doesn't mean just calling someone who does power washing and claims they can get your roof clean. The truth is, they may also damage your roof in the process and what's the point of that? 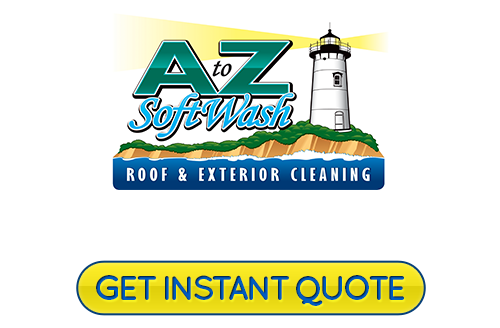 Savvy local home and business owners know that the name to rely on for this type of work is A to Z Softwash. We are the kind and caring team of professionals who can provide you with the high quality results that you want, need and deserve. In fact, we can clean just about any exterior surface you need with the same level of superior results. One thing that surprises people is when they get a notification from their homeowners insurance provider explaining that their coverage in in jeopardy of being canceled. More insurance companies are getting proactive about putting their clients on notice – clean your roof or lose your coverage. This is because a dirty roof means it is at a higher rick of needing emergency replacement and insurance companies don't want to pay for that. 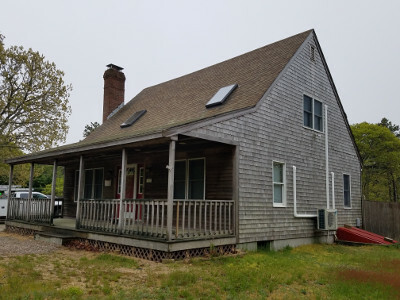 Do you need roof cleaning in Falmouth, MA? The “dirt” you see on your roof is actually a living organism, in most cases. These lichens, moss and algae are living off eating the organic material contained in your shingles. Clean your roof, do away with the problem. Of course a dirty roof also negatively impacts the curb appeal of your home. But did you know this also effects the value of your home? Don't let your property value diminish just because you haven't gotten around to hiring a roof cleaning company yet. For a lot of jobs, the only approach to take is the softwashing approach. This is a less powerful but just as effective alternative to relying on high velocity water spray pressure washing in Falmouth, MA. Get your surfaces clean without all of the threat of damage. This is especially important for your roof where shingles can be torn off or pockets of water can develop and rot away your roof. You will be glad to know that you can also rely on us for professional tile and grout cleaning as well. This is an essential service because it is not just about cleanliness, it is about sanitation. 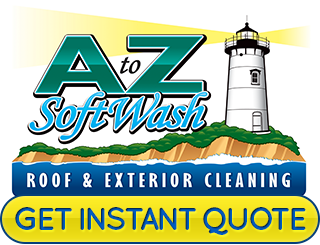 Let our crew here at A to Z Softwash provide you with the best in quality for all of your exterior surfaces. If you are looking for a reliable Falmouth roof cleaning or pressure washing professional then please call 508-209-7795 or complete our online request form.